If you are a new company, or a company looking for a branding makeover (rebranding), you may be interested in our branding starter kit. Branding is more than having a fancy logo and a great slogan (both are included in the starter kit). It involves developing an image that you can deliver on. If you were a little surprised by that last sentence, it is okay. Some advertising agencies want you to build your brand on hollow promises, empty ideas, and typical sales jargon. And while we do incorporate coupons and satisfaction guarantees in most of our advertising (because they are proven to work and customers want them), we also want to help you develop an image that focuses on your strengths so that you can deliver on your promises. Want to discover more about our branding process? Discover more information here. To get you started we have created some branding starter kits. Below you will find a list of potential products that are useful to starting or remaking a brand. They can be combined or broken out based on your plumbing, HVAC or electrical company’s specific needs. Logo in Vector: Contractor 20/20 has the right artists and industry knowledge to create a great logo for your plumbing, HVAC or electrical company. On completion we will make sure you have your logo in vector format with a list of the PMS colors. If you already have a logo and need it in vector, we can help you with that as well for a nominal fee. Slogan: Writing a catchy slogan can be more difficult than you think. It can also be pretty simple. In most markets it is unnecessary to overcomplicate the slogan process. Let us help you determine what kind of slogan you need and then we will put our writers to work. Business Cards: Now that we have your new logo and slogan, let’s update your business card to keep the message consistent. Work Shirts with Logo: Having your technicians wear a work shirt with your logo builds brand consistency, increases your customer’s feelings of security, and makes your company look more professional. Truck Decals: A well branded truck not only increases feelings of security and the appearance of professionalism, but it also advertises to the neighbors and people waiting in traffic who may also be in need of your services. Message on Hold: Cost $250-$500. We will get the phone ringing…but you need to make sure you are ready to take the call! Contractor 20/20 is the plumbing industry expert for message on hold. Our message on holds use real customer testimonials. They can also be used as background music for your website, or broken down and edited into radio ads. If you need to put a customer on hold, a Message on Hold will not only keep them on the phone, but will also reinforce important information about your company and inform them of additional products and services they may be interested in. Turn that hold time into selling time! Websites: Starter sites cost from $500 to $1200 (perfect for pay per click landing pages). Advanced sites cost from $4000 to $12000 (perfect for SEO, Google Places, social media, and smart phone users). Most contractors don’t have a physical storefront that customers can come to. Instead, your website is your online storefront. That is why it is important to make sure it is branded to match your company image, and to attract your best customer. Contractor 20/20 doesn’t create cookie cutter websites; we create branded online storefronts that are designed to reach your best customer. We track the effectiveness of your website and social media to prove to you our methods are working. We are unique in the industry, convert leads to sales, and use the best vendors and talent. For more information, check out our Internet Marketing “How we are different” page. Handwritten Thank You Cards: One great way to retain customers and boost your company image is by thanking them for using your company. Our handwritten thank you cards have been tested and proven to work. They are sent out to recent customers and include an incentive to use your company again. Plumbing Telemarketing: Cost $25/hr. Plumbing telemarketing involves us calling your customers to follow up on recent jobs and make sure they are happy with the work. This has the dual purpose of reinforcing a positive relationship, and preventing problems or bad reviews before they happen. We also call customers to remind them their equipment is due for annual service. 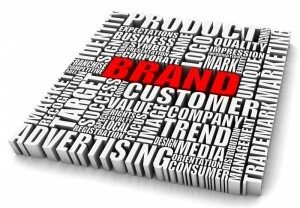 This is a great branding tool and proven to increase customer retention. HVAC Telemarketing: Cost $25/hr. HVAC telemarketing is similar to plumbing telemarketing except that we focus more on calling to set up equipment inspections and maintenance. We have seen this method yield many booked appointments as well as boost customer retention and happiness. Jingles: Cost $1200-$6000 Depending on your budget and need… A Jingle is one of the best and most fun ways to build name recognition. They are a cost effective and proven way to help establish a brand, increase message continuity, professionalism, and the effectiveness of your advertising. Contractor 20/20 has several pricing options available to fit your budget and needs. Yard Signs: Every time your technicians go to a job they should put up a yard sign in the yard. It increases professionalism and advertises to the neighborhood. It is a sure bet that the neighbors may be your next best customer. At Contractor 20/20, we have also created a way for your technicians to use the yard signs to close difficult sales. Our yard signs are unique and stand out from the competition because they have been designed with multiple purposes and applications. They are not your typical corrugated plastic yard sign. Equipment Labels: One of the best ways to brand a home is to apply equipment labels with your company logo, website, and phone number to equipment you have either installed or worked on. When something goes wrong, homeowners often go and look at the equipment even though they have no idea how to fix it. When they take a look at that broken air conditioner or water softener, they will see your company name and number and be reminded of who they should call. It’s a no-brainer that really works, and Contractor 20/20’s artists are the best at creating eye catching, effective, and strategic labels that you can use on all different types of equipment. Window Thermometer: Another effective way to brand the home, and an industry standard, is the window thermometer. Have your tech’s install a window thermometer outside the kitchen window near the sink. Every day when your customers check the temperature, they will see your name and number, and they’ll never forget who to call when a problem arises. Trust us…this thing is a proven gem! And more… Call Mike Morosi or Laura Morosi Latora for more details!